Ever since the Honda Civic arrived in the North American market in the 1970’s, it’s been a winner. The Civic’s quality and efficiency were an immediate hit with the American motoring public and the sales momentum has hardly slowed down. What has changed, however, over the years is that this compact car has grown in size and increased its standard and available features. In fact, some automotive industry publications have stopped even classifying the Civic as a compact vehicle. It really has gotten that roomy and spacious inside. That doesn’t mean that it has lost one bit of the fuel efficiency that it’s been known for over the years. The Civic enters the 2018 model year as an even better value than ever. The car now comes with an amazing amount of space, technology and cargo capacity. You read that correctly. We said cargo capacity when talking about a compact car. The 2018 Civic’s trunk is actually one of the most spacious of any vehicle in its class. The 2018 Civic is available in three body styles: sedan, hatchback and coupe. The sedan represents the vast majority of Civic sales in the North American market, and in the space below we’ll primarily cover that configuration. The 2018 Civic Sedan has five trim levels: LX, EX, EX-T, EX-L, and Touring. The wide variety of trim levels gives you the freedom to choose from a value priced Civic (LX) all the way up to a supremely appointed model (Touring). You’ll find all these 2018 Honda Civic trim levels to choose from when you shop online, or on the lot at Fernandez Honda. Our San Antonio, TX Honda dealership offers low prices on the complete line of new Honda models for shoppers in the La Vernia and Universal City areas of Texas. We invite you to stop by our dealership and test drive a 2018 Civic model today. We’re conveniently located at 8015 Interstate 35 Access Rd, San Antonio, TX 78224. The 2018 Honda Civic sedan features a spacious cabin with comfortable seating for up to five people. There’s plenty room for everyone’s gear with the Civic’s 15.1 cubic feet of trunk space. The Civic has become known over recent years for offering an amazing amount of standard and available features, and the 2018 model is certainly no exception to this rule. Even on the base LX trim you’ll get equipment like multi-angle rearview camera, Bluetooth* technology and color touchscreen system. Premium infotainment options like Apple CarPlay, Android Auto, and Honda Satellite Linked navigation system are also available on this compact car. The Honda Sensing Safety package now comes standard on the 2018 Civic and includes features like Adaptive Cruise Control, Road Departure Mitigation System, Lane Keeping Assist System, and Collision Mitigation System. With these kinds of features and technology, it’s easy to see why the Civic remains one of the most popular models in the automaker’s lineup. There are nine available exterior color options on the 2018 Honda Civic which include White Orchid, Taffeta White, Lunar Silver, Crystal Black, Rallye Red, Modern Steel, Aegean Blue, Cosmic Blue, and Burgundy Night. As noted earlier, the 2018 Civic is available in three body styles: hatchback, coupe, and sedan. The hatchback options on the 2018 Civic include two sport-tuned trim levels: Si and Type R.
Honda makes two engine options available in the 2018 Civic sedan. The first is a 2.0L powerplant that provides 158 horsepower and 138 lb-ft torque. There’s also a 1.5L turbocharged engine available that is capable of generating 174 horsepower. Why Choose Fernandez Honda for the 2018 Civic? 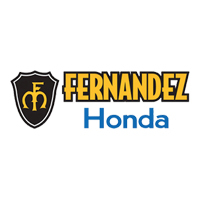 Now’s the time to visit Fernandez Honda to take advantage of some of our lowest Honda prices in history on models like the 2018 Civic. Whether you are in the market to buy or lease, we’ll make sure you get a great deal and enjoy the whole transaction process from start to finish at our Honda dealership located at 8015 Interstate 35 Access Rd, San Antonio, TX 78224.